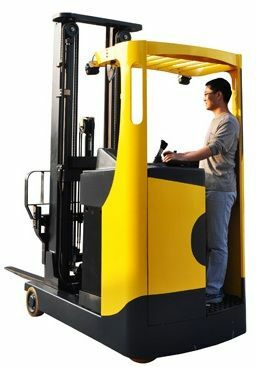 Our Mega-Lift 1.6 ton electric reach truck is typically designed for stacking of high intensity, and it can be used to transport pallets as well as to stack in various warehouses, manufacturing industries, retail stores, etc. 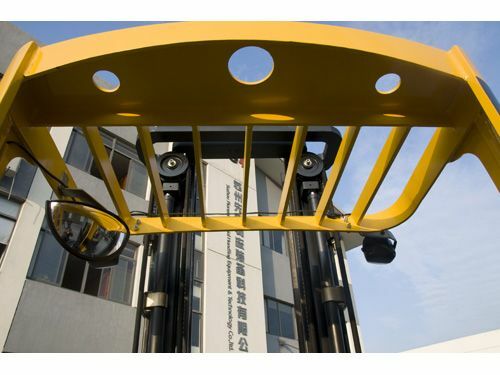 And we have two types of this kind of reach truck for customers worldwide: standing-on and sit-down. 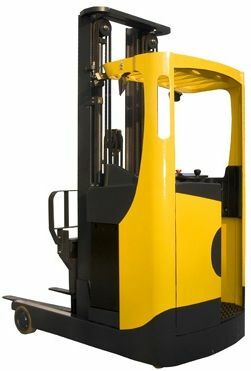 Its loading capacity ranges from 1000kg to 1600kg. 1. Advanced AC control system eliminating motor brushes and directional contactors, which significantly reduces maintenance requirements. Intelligent regenerative brake system increases overall truck performance by decreasing battery charge intervals. 2. Multi-function display: battery state, hour meter, fault code indicator, etc. 3. Side battery roll-out system is very convenient for replacement. The battery front cover makes it easy to fill the battery. 4. Built-in pressure relief valve protects the trucks from overload. 1. Low centre of gravity ensures stable operation. 2. 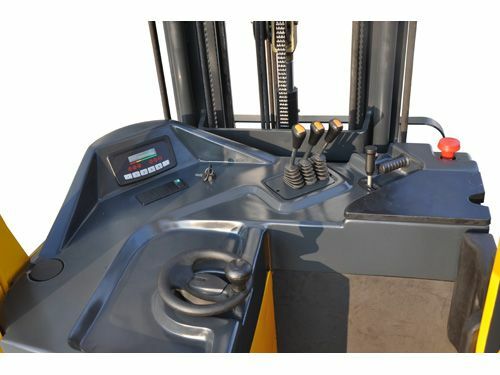 45-degree standing and operating position ensures comfortable operation. 3. The stand-on platform is low enough to allow the driver to step on and off without any effort. 4. The use of articulated drive system renders stable and smooth operation. 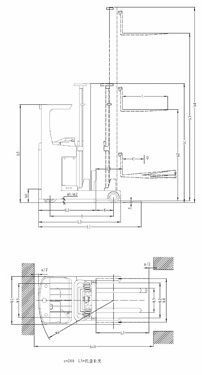 Vertically mounted drive motor system has a small turning radius and is easy to maintain. The motor structure is water-proof and dust-proof. 5. The reach forks with hydraulic control make its operation stable. 1. CAN-bus technology reduces wiring complexity and increases the reliability. 2. All pivot points have grease fittings and serviceable bushings, thereby reducing component abrasion degree as well as prolonging component life. 3. The back cover is easy to open for maintenance and adjustment of parts such as multi-valve, accelerator, controllers, etc.